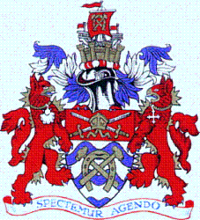 The motto for the London Borough of Hammersmith and Fulham is “Spectamur Agendo” which can be translated as “We are judged by our actions”. To aid the public in the judging process we have asked that the Administration agrees to film the debates in the Town Hall and put them on the web so that residents can view for themselves what is being debated and voted for in their name. “This Council believes that Hammersmith and Fulham’s residents should be able to view all of the debates at the full council meetings broadcast via a video link on the LBHF website, YouTube and other open access media. This should be streamed live and available as a podcast. The Council believes that the public have a right to witness what their elected representatives say and vote for and that this Council is obliged to make it easier for residents to do so. I believe that this will, at the very least, improve the quality of the debate. The technology is now readily available to do it. I’ll let you know how we get on. Camden has had webcast meetings from about 2003 and I believe they are an important check on councillors. In debate answers to questions are more deliberate (rather than political put downs), especially on major decisions. In planning decisions in particular there is less 'showboating' by local politicians to please local audiences, or comments which could be construed as ultra vires. The more power executives or cabinets have to make decisions liek the siting or demolition of schools / privatisation - the greater the need for their reasoning to be in the public domain. If this had been available on Monday when they voted for homecare charging, then lbh&f residents would have been able to see just how the Tory councillors behave. Disgusting way to carry on. They obviously have no shame so it probably bother wouldn't bother them anyway. Why not go further. As all publicity is paid for by residents why doesn't the council let recognised community groups or representative groups use or hire at cheap rate it's recording equipment. They should be able to then show the videos on HFTV linked to the lbhf website. The BBC while funded by public money acts independant of the government. The same is possible in LBHF. Now that would be engaging with residents in an innovative way. Obviously some guide lines should be in place but disagreeing with the council point of view shouldn't be one of them.It is very dissapointing that this council uses council tax money to in effect promote the Tory party. The laughable HF News is probably the only "paper" that did not carry a story about a councillor making unjustifiable remarks about India. Why, when it happened on our doorstep? It never carries the same stories as the local press. Why does it describe itself as a newspaper. The only reason I can think of is so people think "Oh we've got one newspaper why buy another" thus stopping them buying one of the independant papers which carry stories the council does not want aired. If this council wants to provide a publication it calls a "newspaper" it should have independant editorial and journalistic control like real democracies. Equally HFTV should also run in a similar funded but independant way.The council seems to place it's trust in contractors for many services yet it seeks to maintain control over it's TV and "newspaper". Given the amount of publicity this council serves up - one of the first councils to use youtube, they say that HFNews is the biggest paper in West London - why do people still need to use the Freedom Of Information Act to get details of money spent by this council. Message for Coucillor Ivimy it's this council that needs educating - on how democracies approach media output and free speech rather than acting like some Orwellian dictatorship.